Val With X-Pression. Win Free Hair and Other Prizes. Valentine is a special period for showing love. So, what are you up to this valentine. Where do you plan to spend your valentine, and with whom. 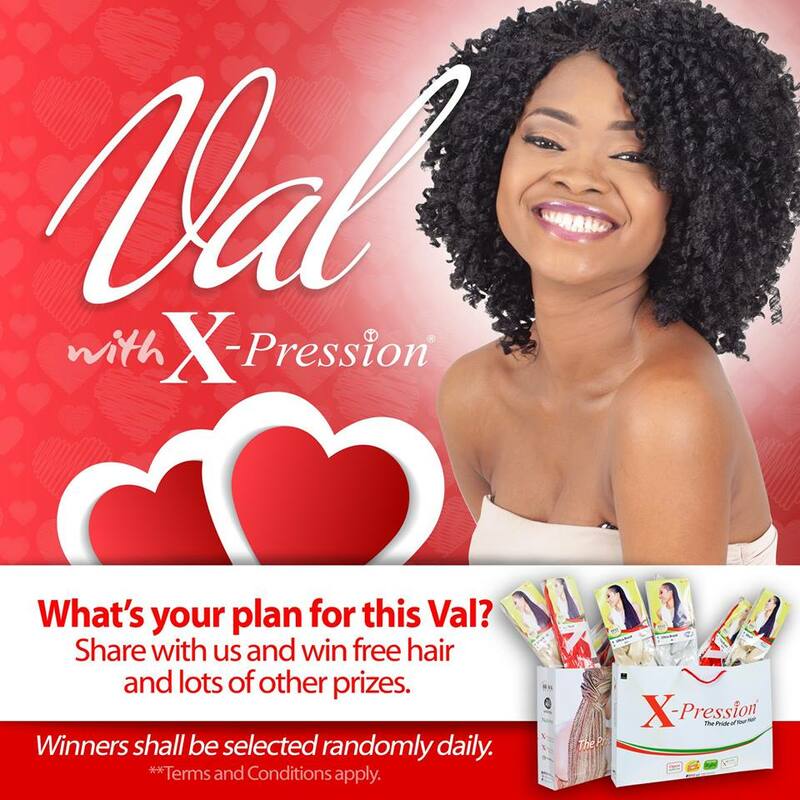 Share with us and stand a chance to win a gift pack from X-Pression.